My daughter’s favourite meal has to be Cottage Pie. 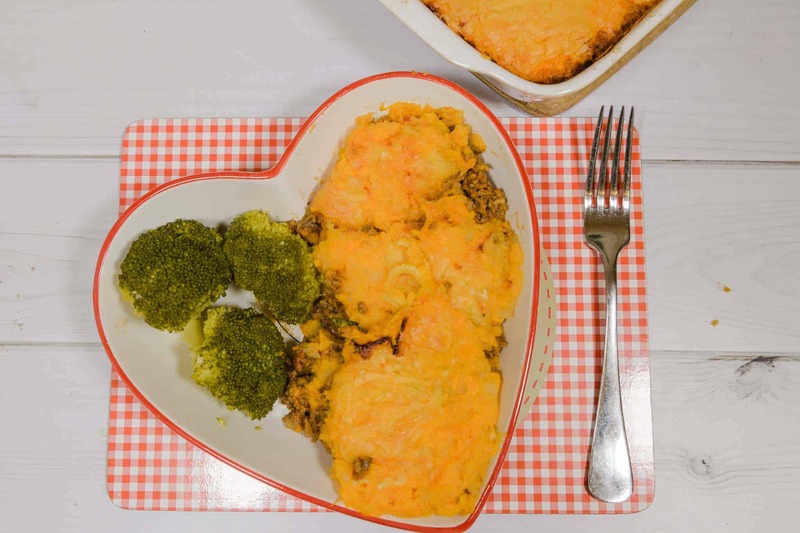 In fact it’s a big winner in our home and today we are sharing a Sweet Potato Cottage Pie with Roasted Broccoli from Hello Fresh. 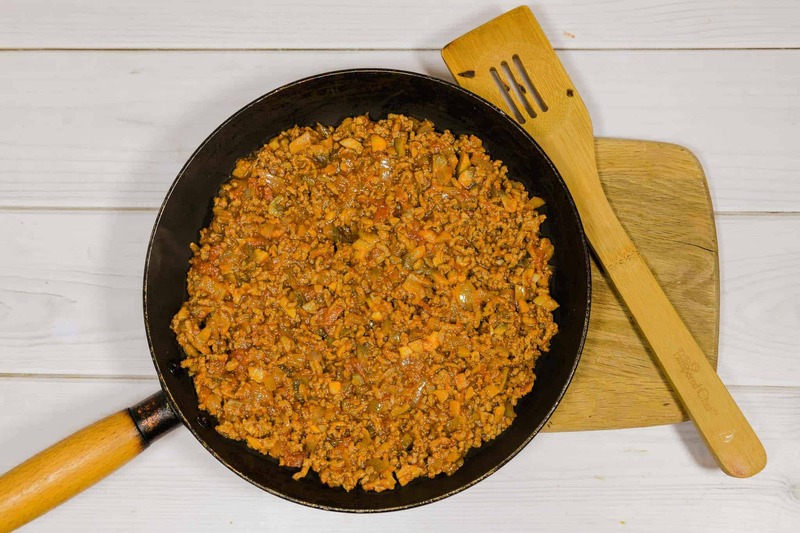 This is a fantastic family recipe which is a healthy and wholesome meal. Using sweet potato alongside regular potatoes is always good as sweet potato is full of vitamin A, vitamin C, manganese plus lots of other vitamins and minerals. This fantastic recipe also has roasted broccoli which maintains more nutrients than boiled broccoli and the fat from the oil will help the body to absorb more vitamin A. 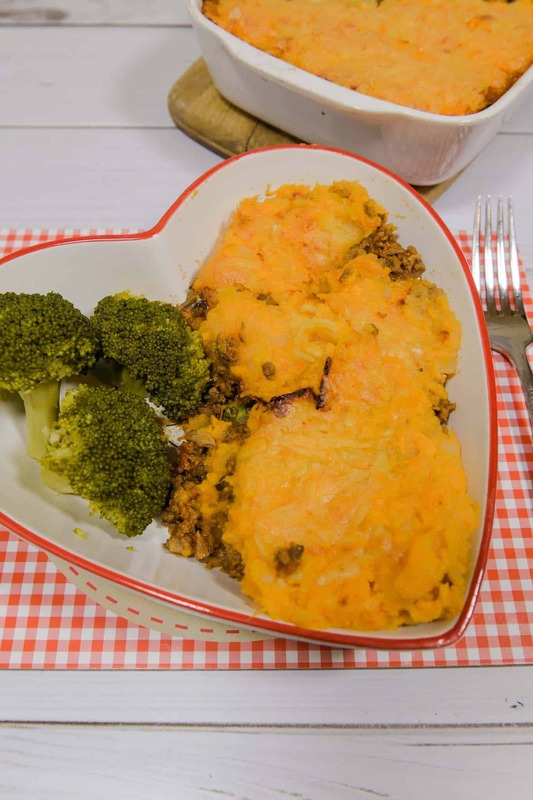 This Sweet Potato Cottage Pie recipe can be found on the Hello Fresh website. Hello Fresh is a fantastic service where you can have fresh ingredients delivered to your doorstep. 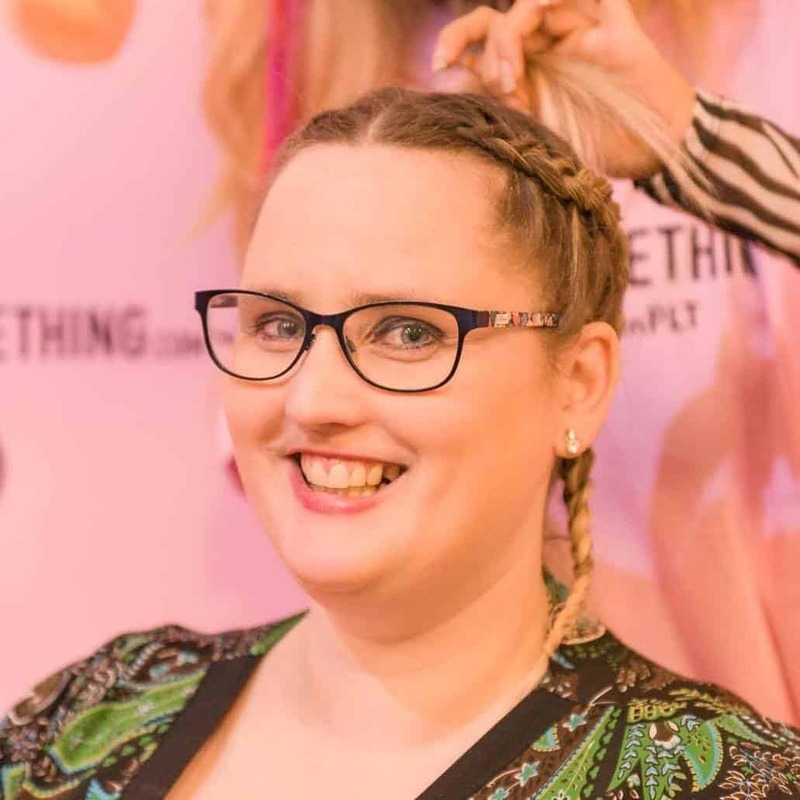 All you need to do is choose the recipes you fancy eating for the week and the exact ingredients will be packaged and delivered to your home. These convenient meal kits can fit right in your fridge and the ingredients are fresh, high quality and pre-measured. 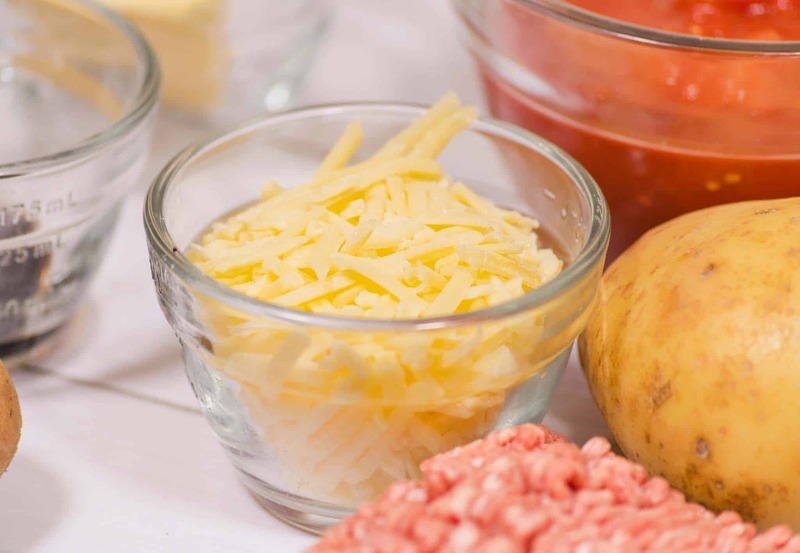 I’ll now share the step by step instructions for cooking Sweet Potato Cottage Pie. This meal takes 45 minutes to cook, contains 4 of your 5 veg a day and makes 4 meals. First you will peel and chop your onion into small pieces. Peel and finely chop the garlic. Separate the broccoli into florets and peel the potato and sweet potato. 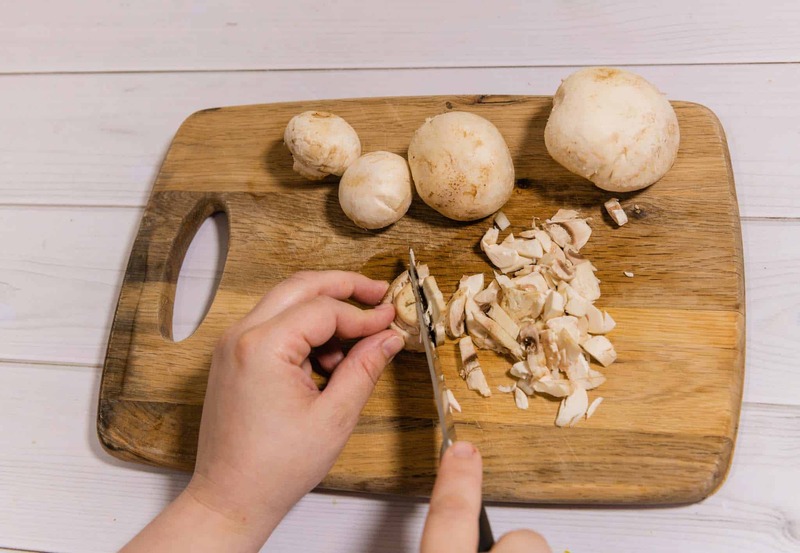 Finely chop the mushrooms. Bring a large pot to boil and preheat the oven at 220 degrees. 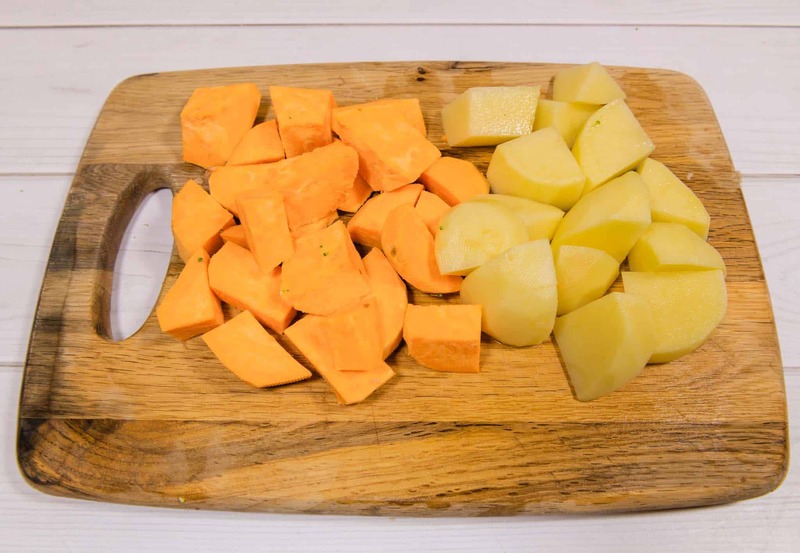 Chop your potato and Sweet potato into small squares and begin to boil on the stove top. Cook the Potatoes until you can easily slip a knife through them. Once cooked drain the potatoes. Add the butter and a splash of milk (if you want to) along with a pinch of salt and pepper. 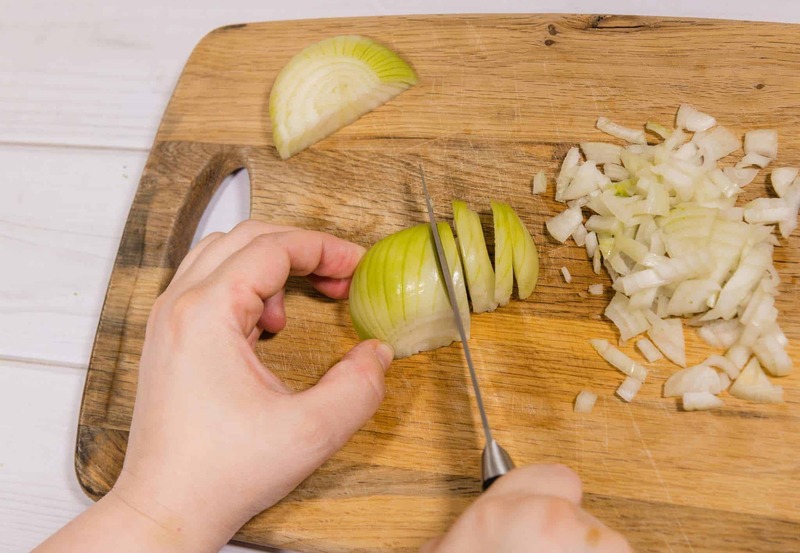 Using a saucepan or large frying pan, begin cooking your onions on a medium heat. Add a spray or drop of oil to help soften the onions. Cook for 4 minutes and then add the garlic and mushrooms. Cook for a further 3 minutes and add the mince. You can now add a pinch of salt and pepper for added flavour. 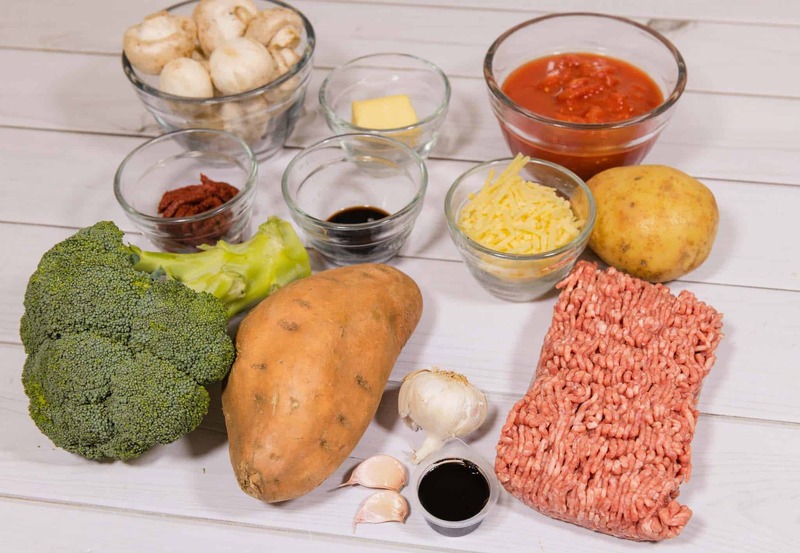 Once your beef is browned, add tomato puree, chopped tomatoes, Worcestershire sauce and a beef stock pot to the pan. Bring to the boil and reduce to simmer cooking for a further 15 minutes to thicken up. Once the beef has finished cooking, transfer to an ovenproof dish and spread the mash over the top. 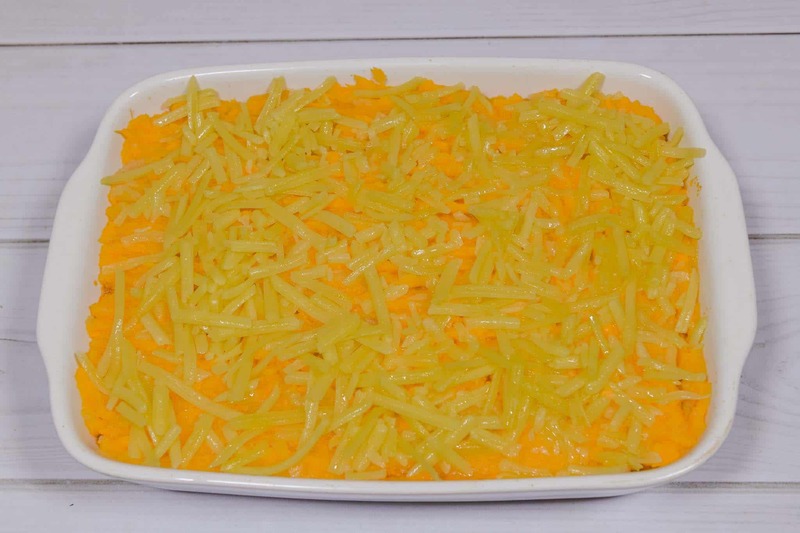 Next add your grated cheese over the top of your cottage pie and place in the oven for 15-20 minutes. You can now place your Broccoli onto a baking tray, sprinkle some salt and pepper and a drizzle of oil. 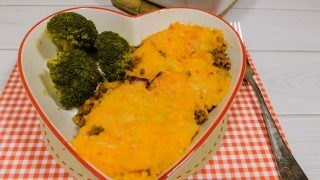 Once your cottage pie has been in the oven for 5 minutes add your broccoli to the oven. Once your cottage pie is ready and golden brown, take the dish out of the oven and serve on plates. 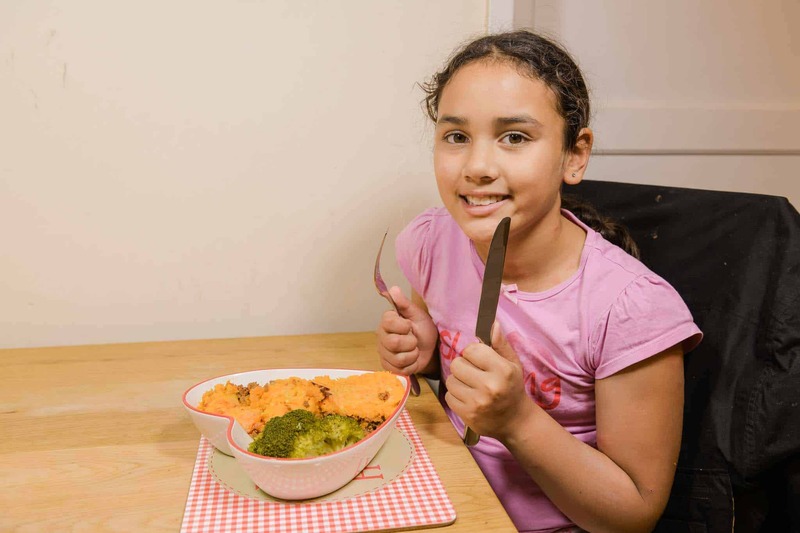 We loved our Sweet Potato Cottage Pie meal. 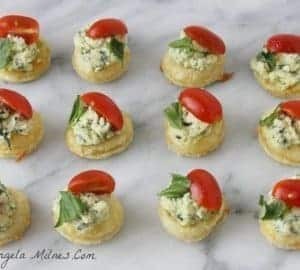 It was a great recipe from Hello Fresh and my daughter thinks it’s wonderful. This is a fantastic family recipe which is a healthy and wholesome meal. 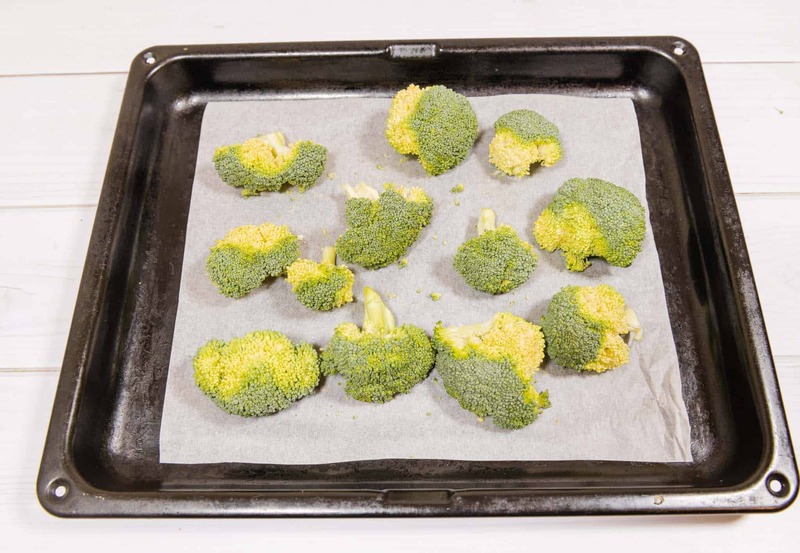 You can now place your Broccoli onto a baking tray, sprinkle some salt and pepper and a drizzle of oil. 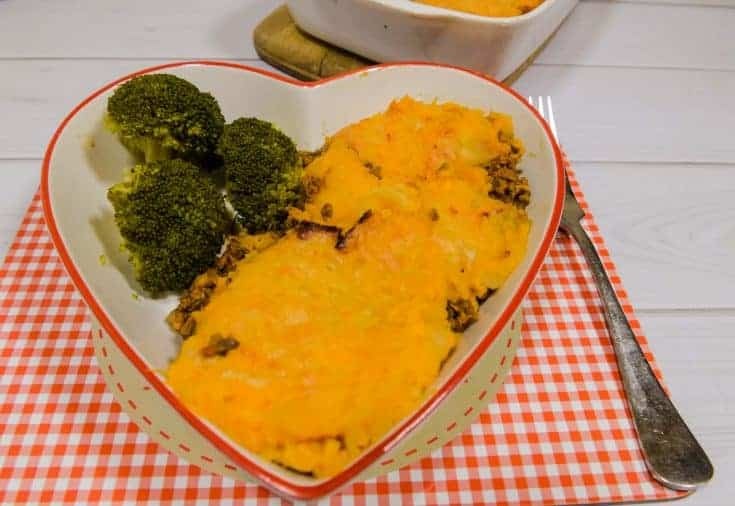 Once your cottage pie has been in the oven for 5 minutes add your broccoli to the oven. This sounds like a lovely autumnal dish and I like the idea of using sweet potato for a healthy change! yes it makes it taste extra good! We love sweet potato! 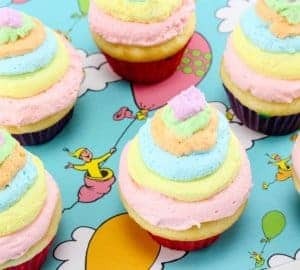 Oh this looks delicious! I could easily switch out the mince for quorn mince too to make it veggie friendly. 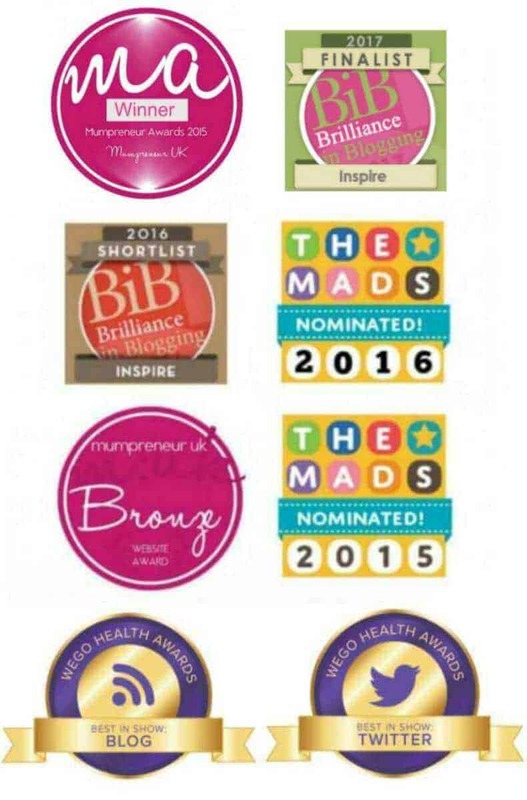 It is a winner and the whole family love it! 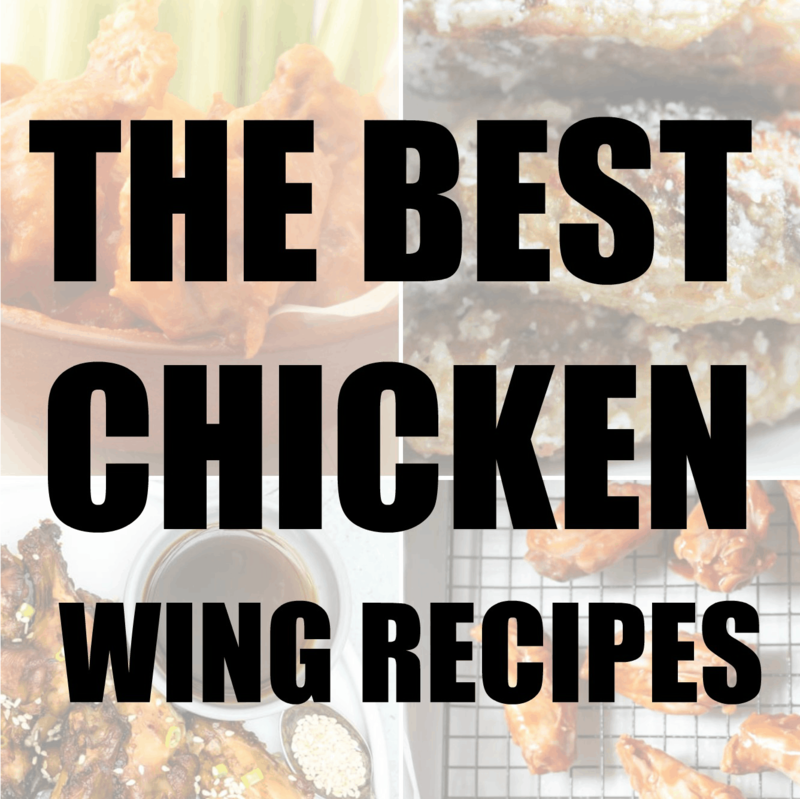 It’s a good recipe to try. I love sweet potato fries but I haven’t tried a pie yet! 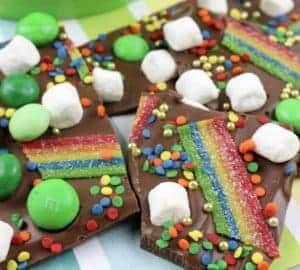 sounds amazing and would love to try this!